Cryogenic cooldown and transfer has to do with the mass of the system going from the thermal energy state 1 (warm) to state 2 (cold). It is a one-way transaction of thermal energy. The heat flows from warm to cold. The cryogen is evaporated to make the cooldown happen (unless a cryocooler refrigerator is used instead). The heat is therefore taken up in the cryogen going from liquid to vapor. The thermal energy of the warm surroundings and the initially warm system mass works on (or flows into) the cryogen. It is really simple, yet complicated to put into words. What is energy, anyway? We can't explain energy, but we can observe what is does! An important part of the cooldown process is explained by the nucleate boiling process of the cryogen. 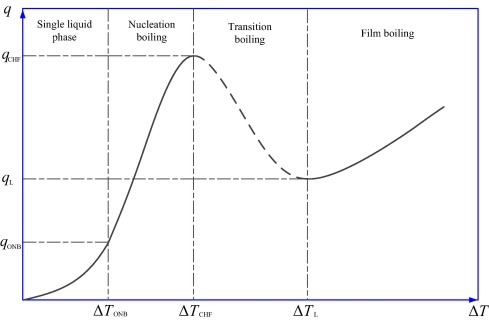 A typical nucleate boiling curve is given below. The high initial temperature difference (high delta-T, far right) often causes a vapor film on the surface of the warm mass. 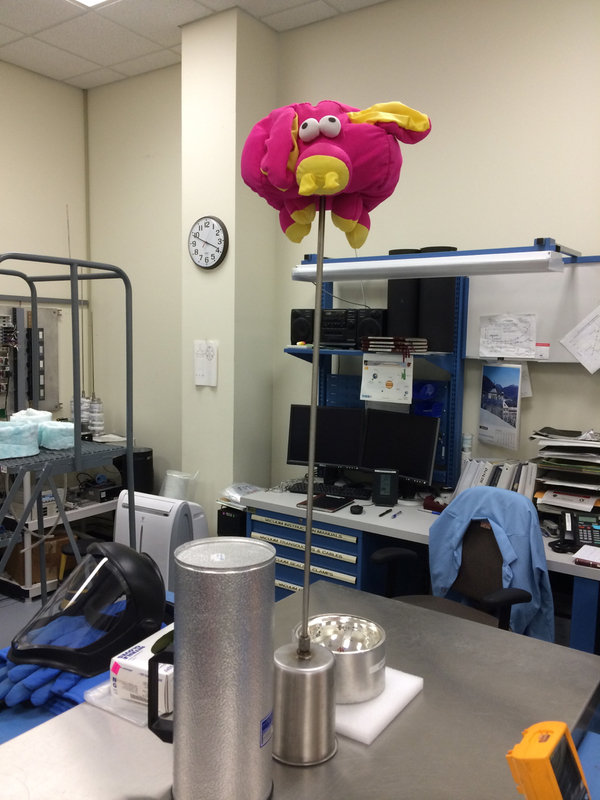 Heat doesn't flow too well through the vapor phase so the heat flow per unit area (heat flux) is not very effective. Once this film breaks down, the heat begins to flow much better through the liquid phase as shown by the transition boiling region. An audible crescendo can be heard as the boiling nears its peak. Soon the energy is taken out and the cooldown process is complete (small delta-T, far left). Here, the condition is steady-state nucleate boiling. Remember, the heat is always coming from the environment (as long as the Sun and stars continue to burn and pump out their energy into the universe!). Flim boiling on a metal table top. Example of LN2 Cooldown Process.